For several decades, nuts were withheld from a healthy diet due to their higher fat content. However, we now know that nuts are an extremely important part of a heart healthy diet and walnuts could be the best for you. People have been eating walnuts for thousands of years, with reports of walnut trees being grown as far back as the Roman Empire in 7,000 B.C. In ancient Persia, walnuts were a food for royalty. Their popularity caused them to be traded and bartered all across the world by English merchants, earning them the name English Walnuts, despite never being grown in England. Today, walnuts are grown all over the world, but California is responsible for 99% of the walnuts used in the United States. Let's look at some of the health benefits of walnuts and how you can start including them in your diet. Walnuts are a very versatile health food with several unique health boosting components. Like most nuts, walnuts are high in good fats. One serving of walnuts contains 13 grams of polyunsaturated fats (including the coveted omega-3 fats). Decades of scientific research show that this type of fat will reduce your risk of heart disease and diabetes. You may not realize that walnuts also contain extremely high levels of antioxidants. Researchers from the University of Oslo in Norway found that walnuts contained more antioxidants than 1,111 other foods tested, second only to blackberries. Antioxidants play an important role in our bodies, by fighting molecules in our bodies called free radicals, which, if left to their own devices, can accelerate signs of aging and cardiovascular disease. One serving of walnuts, just less than 1/4 cup, contains 2 grams of fiber and is a good source of two important minerals: magnesium and phosphorous. In 2003, a study was published in the American Journal of Clinical Nutrition which reviewed all of the available research on walnuts and their impact on cardiovascular disease. The researchers found that eating walnuts consistently will reduce the risk of heart disease. Many scientists believe that eating just 1.5oz of walnuts each day is enough to produce this reduced risk of cardiovascular disease. An incredible study using animals to investigate the effects that eating walnuts has on breast cancer, showed that daily walnut consumption slowed the growth of breast cancer tumors by half. More animal research published in the British Journal of Nutrition showed that eating walnuts daily was shown to reverse age-related cognitive decline. 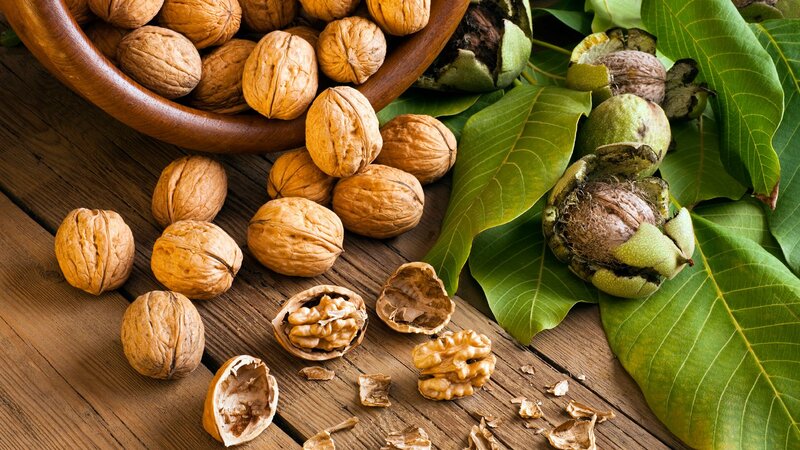 The ability of walnuts to impact so many different diseases and aspects of your heath is most likely due to their broad nutrient package which fights inflammation. 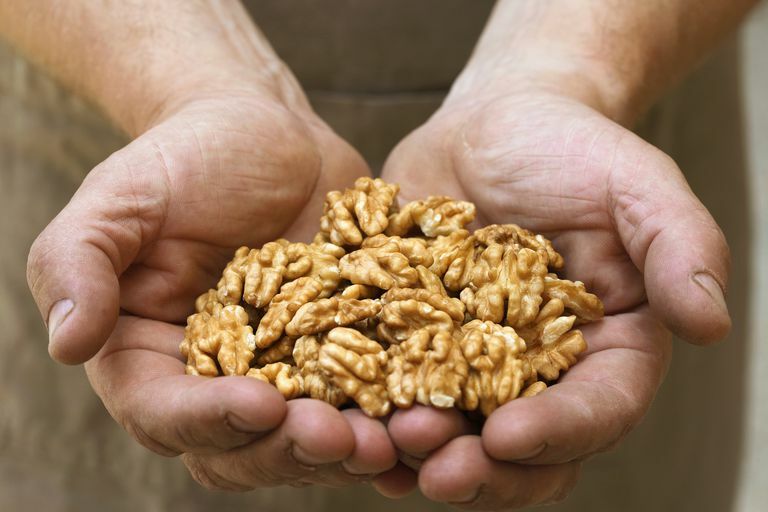 So how can you add walnuts to your diet? Walnuts can be added, along with blueberries, to Greek yogurt for a nutritious and fast breakfast. They also are the perfect addition to smoothies, as they have a neutral flavor and they won’t settle to the bottom of your blender like almonds. At lunchtime, you can replace the nutritionally void croutons on your salad with walnuts. You will still have the added crunch that croutons bring, but you'll be getting over 2 grams of heart-protecting omega-3 fat, alpha linolenic acid and no refined carbohydrates. 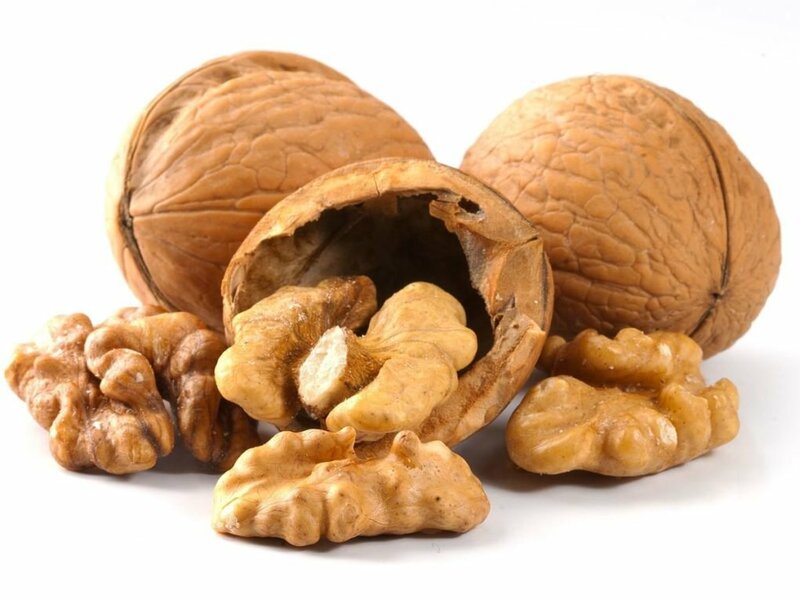 Walnuts have 5 times more alpha linolenic acid than pecans, and most nuts don't have any. Ground up walnuts go great on top of salmon or mixed into your favorite chili. Or, just add a small handful of walnuts as a mid-afternoon snack instead of reaching for chips or pretzels.